Once I had the pretty center square done, I added granny stitching around with lilac and white yarn finishing with the same shimmer yarn for the final trim row. Here is the a photo of the completed Purple Haze Baby Blanket. 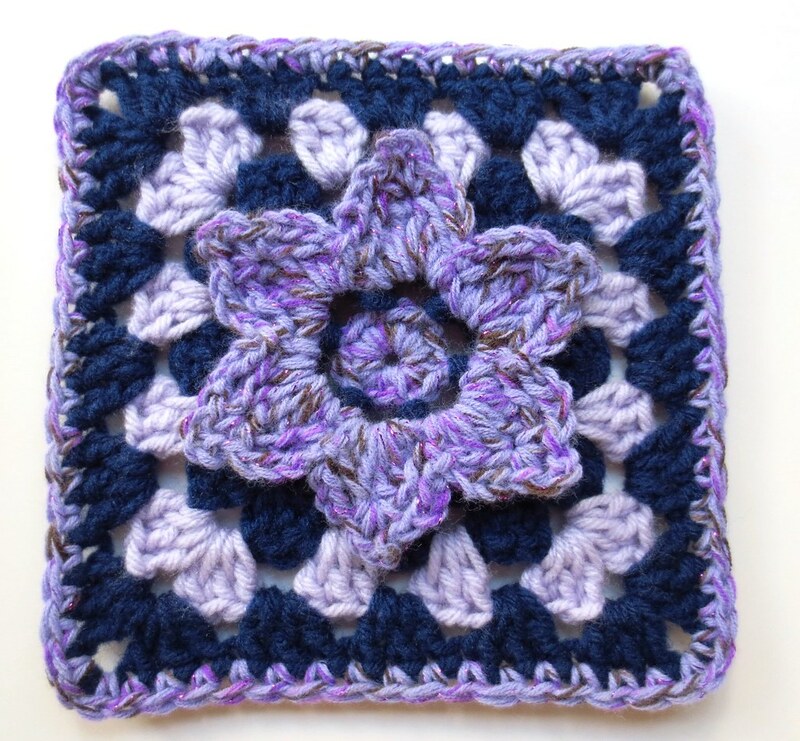 Finished size of my baby blanket with the Purple Haze center square is 18.5 inches wide. 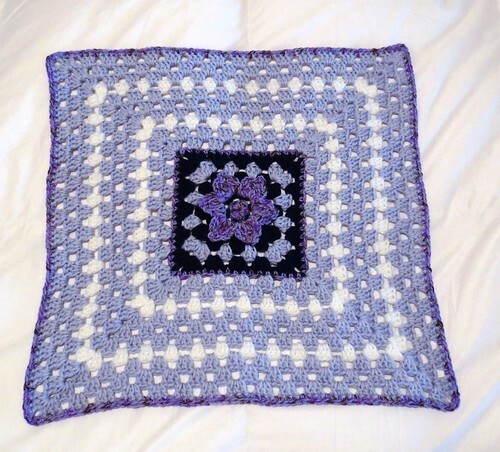 This is going to Kathryn of Crochetville for her preemie NICU baby blanket drive.